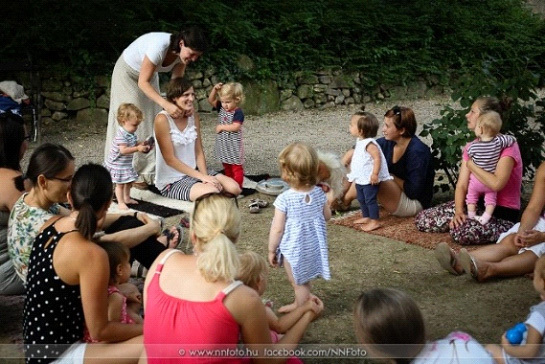 In September during the Hurcibaba Club the participants could try baby carrier, borrow them and got professional advice from consultants. Meanwhile, the moms was rhyming together for the babies and played some game. Babies like to chew something while they are carried, so one of the moms bought silicone balls to make silicone necklace for teething. The program was realized by Hurcibaba Association in the framework of Peer Gynt project supported by the Norway Funds.